Are you tired of dealing with ongoing toilet problems? Have you tried different solutions but you’re still in need of toilet repair in Azle, TX? At Lightfoot, our experienced plumbers will accurately diagnose your toilet problems and get them taken care of, once and for all. Call us today and get your toilet working again as soon as possible. Did you know that you can repair your toilet before it causes major headaches or damage to your home? If you catch a toilet problem early, it doesn’t have to be a big deal! Look for these things and call us as soon as you notice something going wrong. 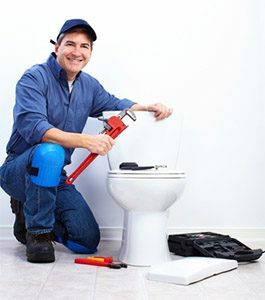 We’ll do your toilet repair in Azle, TX and let you get back to your normal life. Your toilet gurgles or you hear water moving when it shouldn’t be. Your toilet overflows regularly, or has a stubborn clog you can’t remove. Your toilet leaks, or you frequently find puddles of water around it and you don’t know how they got there. Your toilet runs all the time, or you hear the tank filling with water when no one has flushed it. As soon as you notice any of these issues, call in the expert plumbers in Azle TX from Lightfoot. We’ll examine your toilet, let you know what we find, then get your toilet repair done before you know it. We’ll get the waste in your house flowing again so you don’t have to feel anxious anymore.